MAUS has demonstrated year after year the ability to continually innovate and deliver high quality, high featured practical software at a fraction of the price of our competitors! 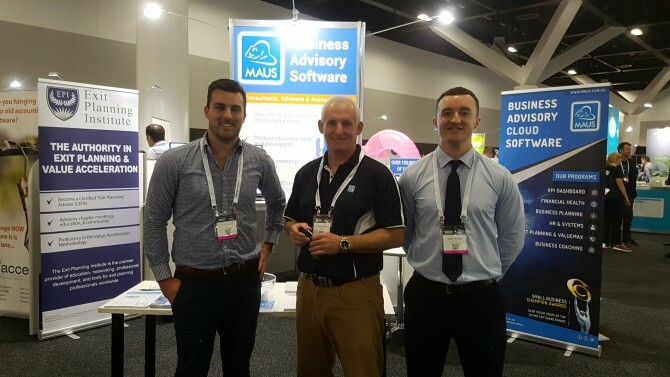 MAUS recently attended the Accounting Business Expo in Sydney where thousands of accountancy firms, wealth advisors and general advisory practices were in attendance where the latest product developments was unveiled to the Australian market. Peter Hickey, CEO of MAUS Business Systems, was impressed with the rave reviews of many of the firms that viewed the MAUS Software. “A solution such as MAUS is an opportunity that must be explored by any accountant looking to add or expand a business advisory arm. Not only does it attract profitable clients who are looking at cloud based SaaS products, it gives accountancy firms the technological ammunition required to stand out from the crowd, and engage clients on a profitable ongoing basis” says Peter Hickey, the CEO and founder of MAUS. As a background, MAUS arms Business Consultants, Advisors and Accountants with a comprehensive suite of Business Advisory tools, so that you can tailor your approach to suit the types of advisory services each client needs. MAUS now boasts the largest range of cloud business advisory & business management apps as well as an International Network of over 80 independent business coaches, consultants, advisors and accountants.